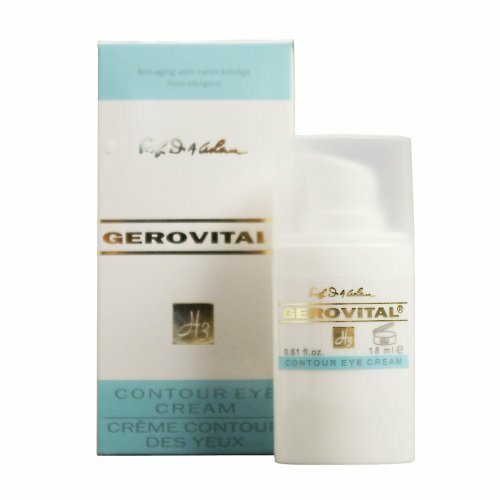 Professor Doctor Ana Aslan has developed the Gerovital H3 (considered by many to be the pioneer of anti-aging medicine) and firstly introduced it in 1957, at the 4th International Gerontology Congress in Verona, Italy. Scientists and researchers from the US, UK, Germany, Italy, Austria, Japan and Romania have subsequently studied and analyzed Ana Aslan’s treatment and confirmed its anti-aging properties. 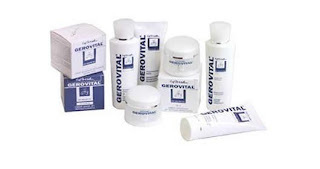 In the 60s the Gerovital H3 treatment has been acknowledged as scientific, medical and cosmetic breakthrough, a highly valued anti-aging treatment. Ana Aslan later developed the Anti Aging cosmetics line. In 1966, Prof. Dr. Ana Aslan registered a patent for Gerovital H3, as part of a comprehensive geriatric program. The program aimed health, beauty, vitality and mind and was a combination of rules of life and physiological treatments to compensate for shortcomings that come with aging. 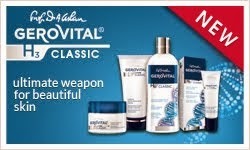 Gerovital H3 Prof Dr Ana Aslan Cosmetic Line is part of this program designed to tackle skin problems that come in womens’ 40s. The basic principle is to supply skin with those components and boost those processes which help mature skin look and feel younger. The duet Emollient Moisturizing Day Cream and Nourishing Night Face Cream has been launched in 1967 by the Farmec Cluj Napoca cosmetic factory. The first adjustment to the Gerovital H3 formula was a consequence of international regulations. The main "anti-aging" ingredient, procaine, was banned internationally (please read our blog for more info) in 1996. Under these circumstances, the formula had to be redesigned in Farmec laboratories, introducing the only derivative of procaine (PABA) internationally accepted along with other active ingredients so that performance of the Gerovital H3 line had not been compromised, but enhanced. 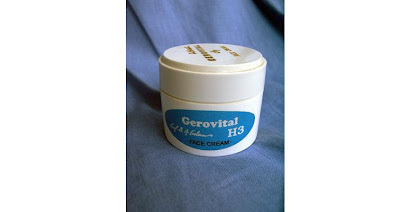 The Gerovital H3 Eye Cream was another important milestone. The sensitive area around the eyes first shows the signs of aging. And it needs to be addressed with specific anti-wrinkle products. The eye cream is actually the first anti-wrinkle product used by most women. 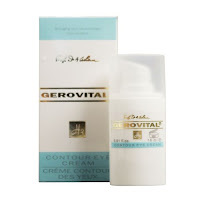 The Gerovital H3 Anti-Wrinkle EyeContour Cream had been design around the classical Gerovital H3 concept. New products had been added to the line as a natural process: daily cleanser, toner, face mask and exfoliating cream. The most notable change for the GerovitalH3 Line was the release, in 2006, of a new face care duet, moving forward the classical one invented by Mrs Aslan. Prof. Aslan left a cream addressing age 40+, when aging problems are already visible. It was so perfect for mature skin (40+) that was „unacceptable” for the 30 years old complexions. But starting 30’s we should begin prevention. The new, up to date, duet is the Gerovital H3 Lift (Intensive Moisturizing Day Lift Cream and Replenishing Night Lift Cream). It is addressed to both mature skin and delaying signs of aging. A new effective ingredient with a lifting effect has been added to the Gerovital H3 formula. • Wrinkles smooth up to 84.2%. • Skin suppleness is enhanced up to 94.7%. • Hydration is increased up to 53.8%. • Lifting effect is increased up to 43.37%. • Firmness increases up to 42.37%. Sodium Hyaluronate - Improves skin moisturizing and suppleness. Elastin - Helps keep the skin flexible and tight. Collagen - Improves skin moisturizing and suppleness. Sepilift – Regenerates elastic fibers of the epidermis. Lecithin - Reduces flaking and helps restoring suppleness. Avocado Oil – Rejuvenates, heals, nourishes. Calendula Oil - Has a strong healing and anti-inflammatory effect on skin. It activates blood circulation and contributes to tissue regeneration. Cocoa Butter - Is an excellent emollient and a valuable moisturizing agent. Cucumber Extract - Helps and prevents the appearance of wrinkles. Vitamin A - Accelerates cell renewal, stimulates collagen production, helps reducing wrinkles and fine lines. Vitamin E - A very effective antioxidant, helps cell regeneration and removes the formed “free radicals”. Fatty Acids (Vitamin F) - Nourish and help lubricate skin cells.